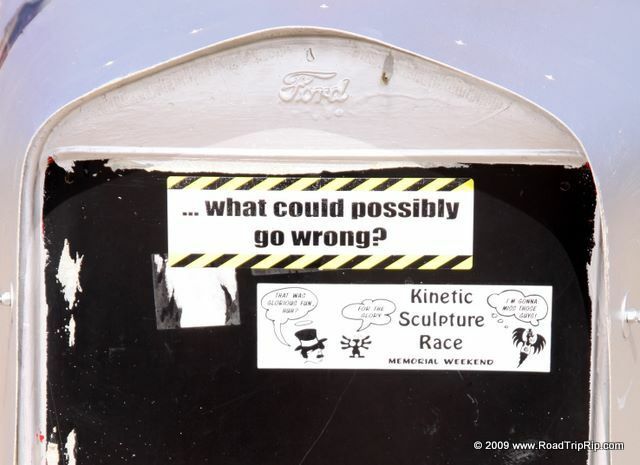 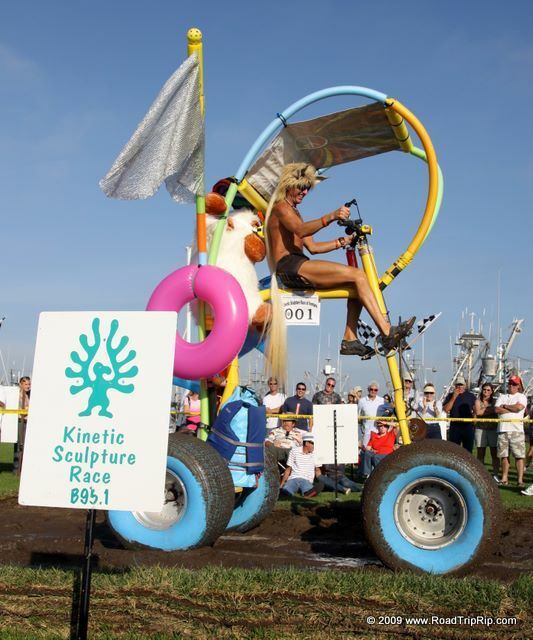 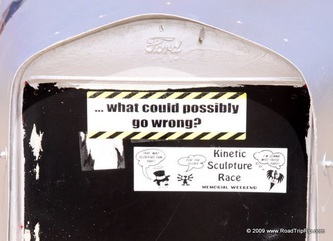 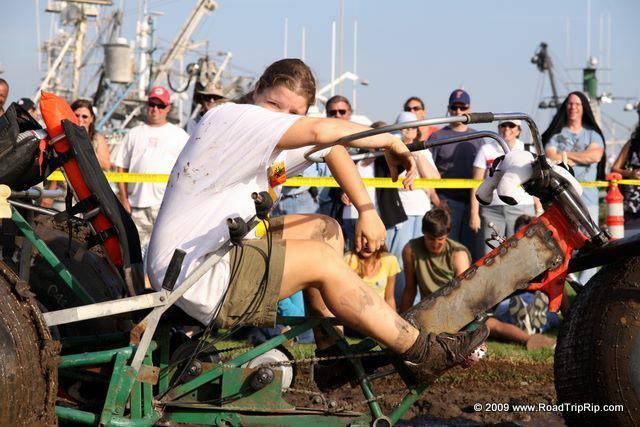 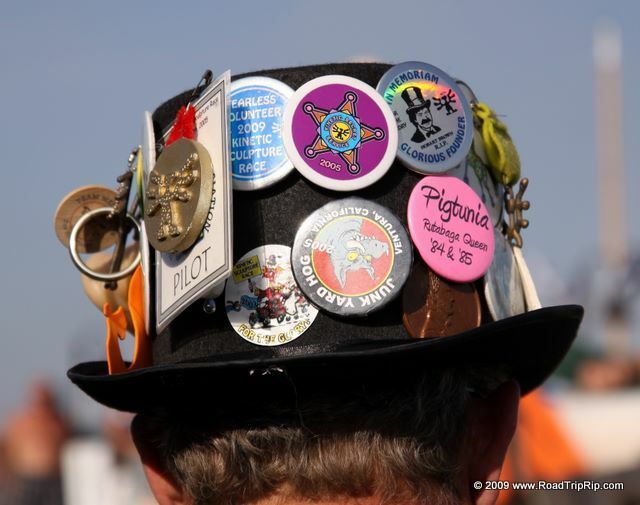 What is a kinetic sculpture race, you ask? 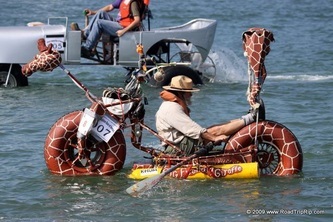 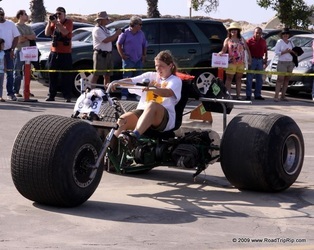 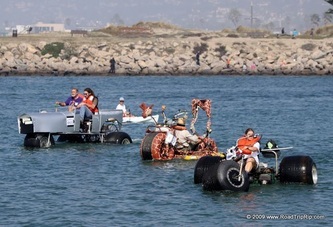 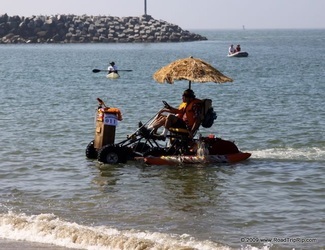 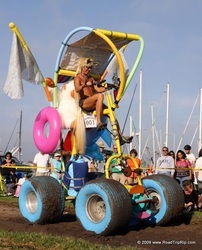 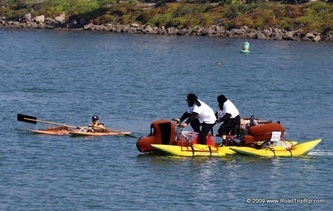 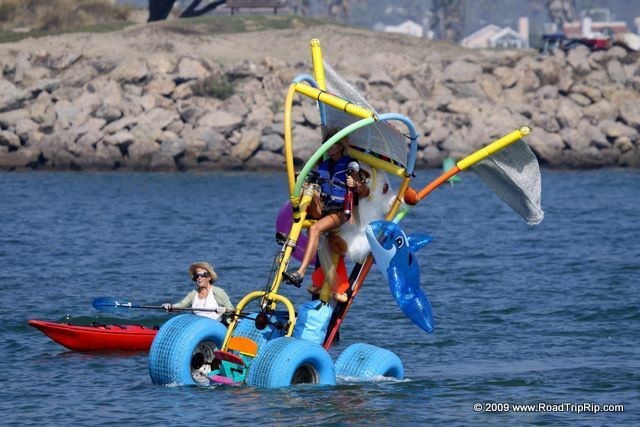 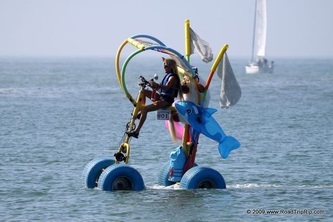 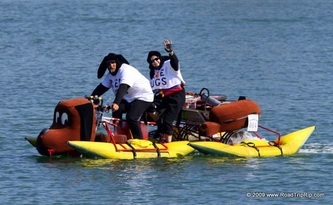 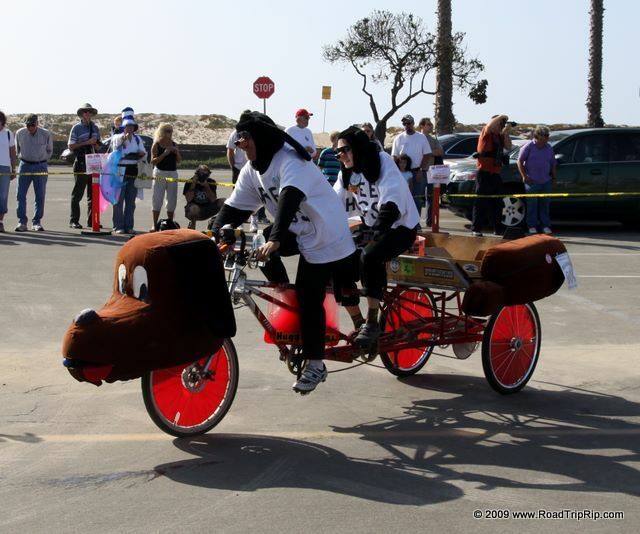 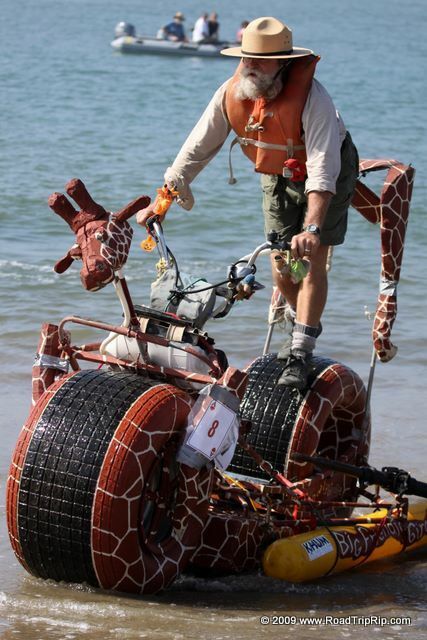 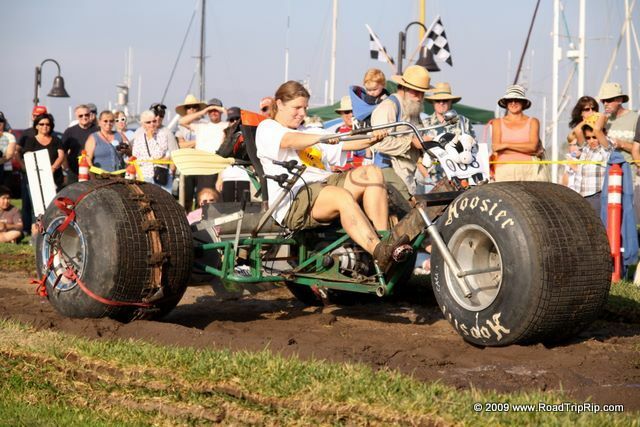 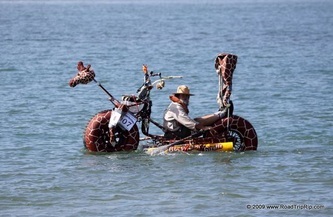 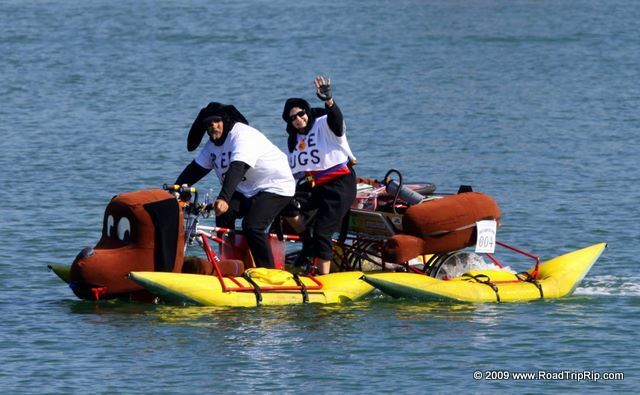 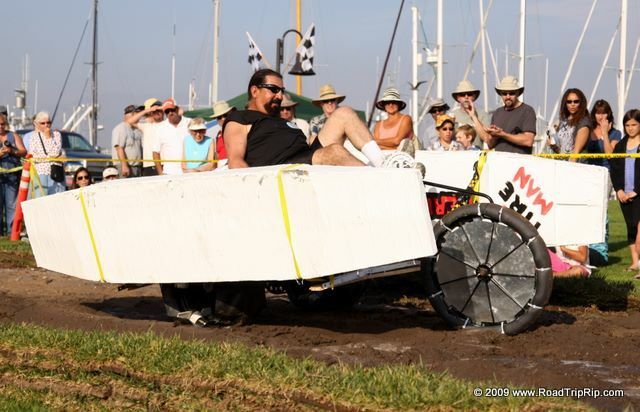 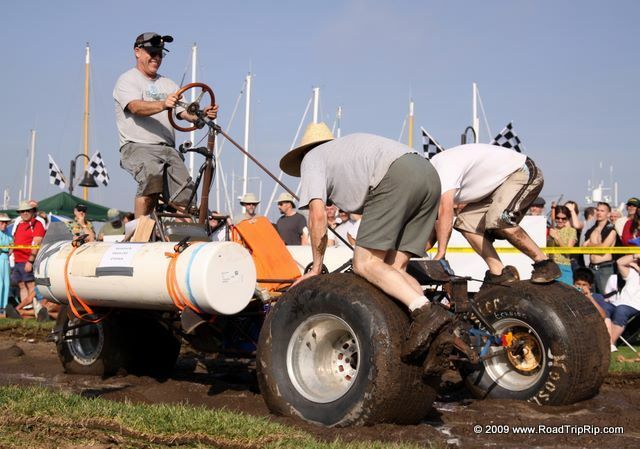 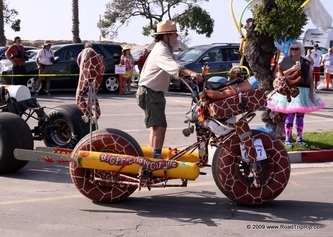 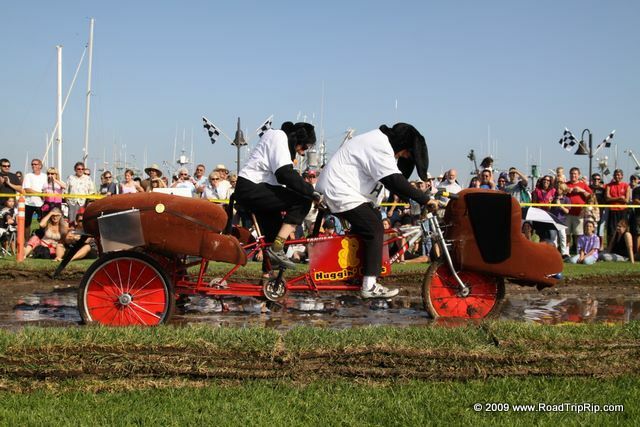 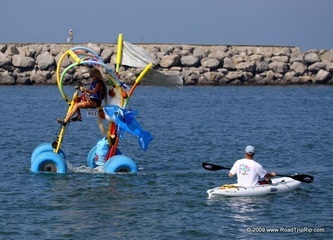 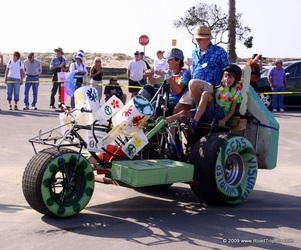 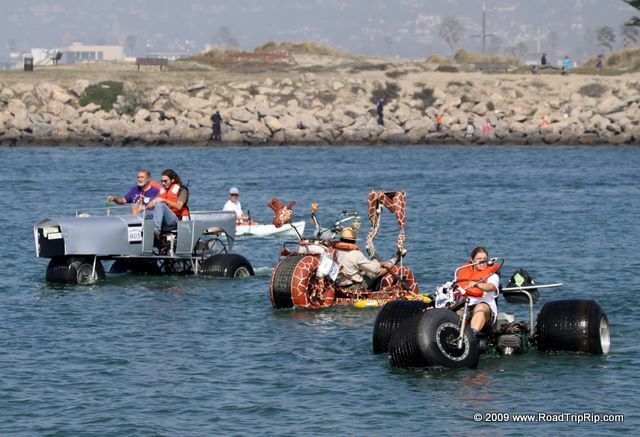 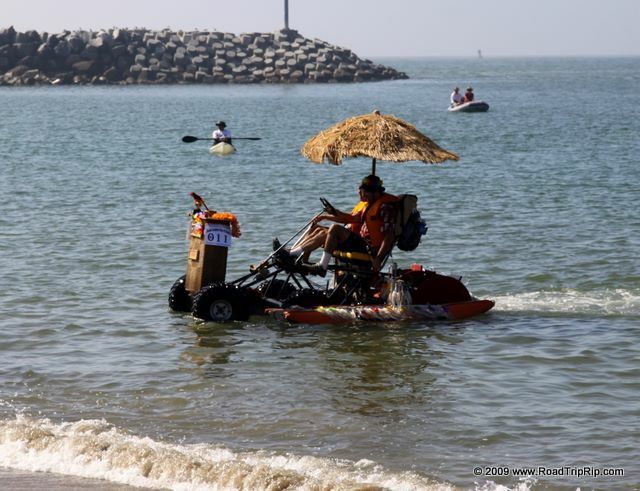 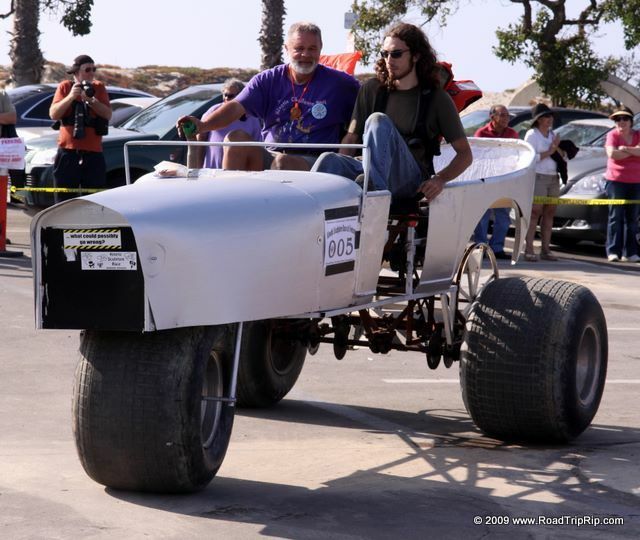 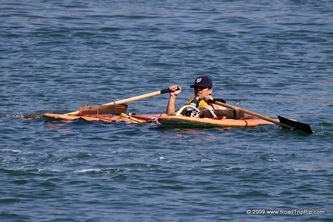 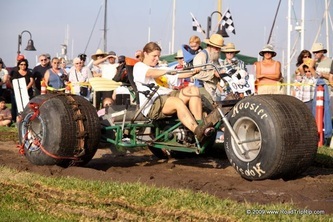 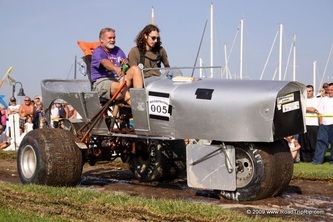 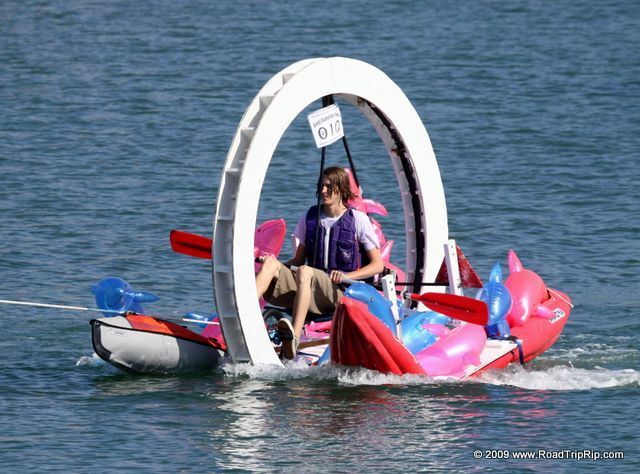 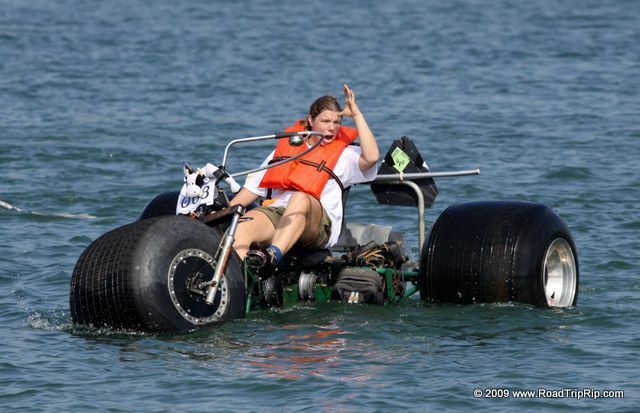 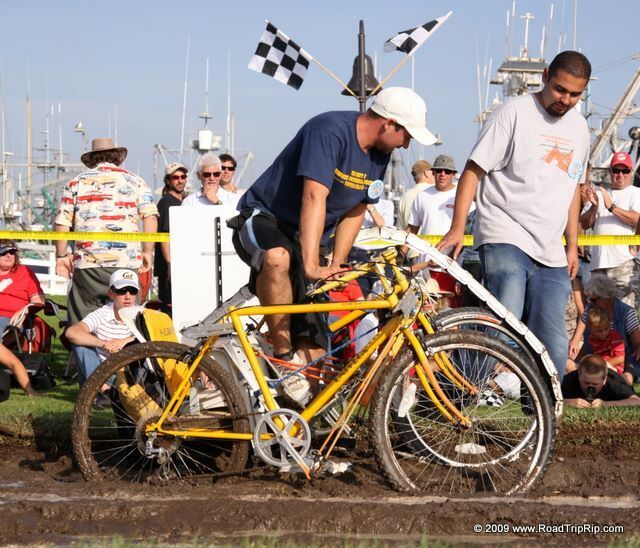 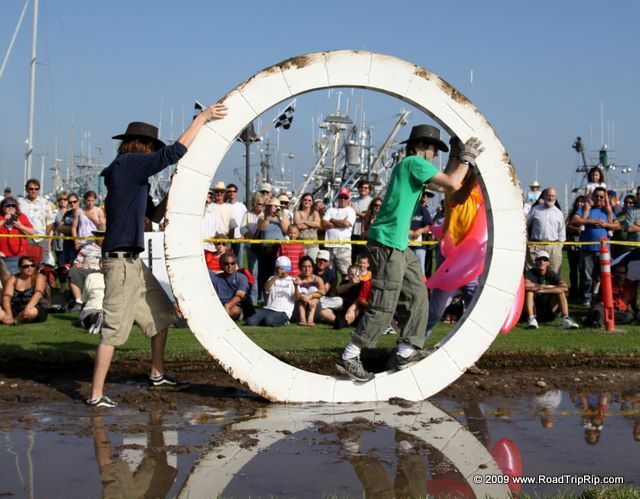 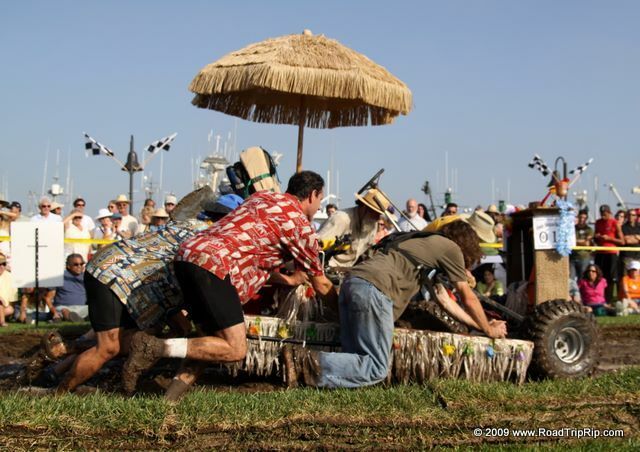 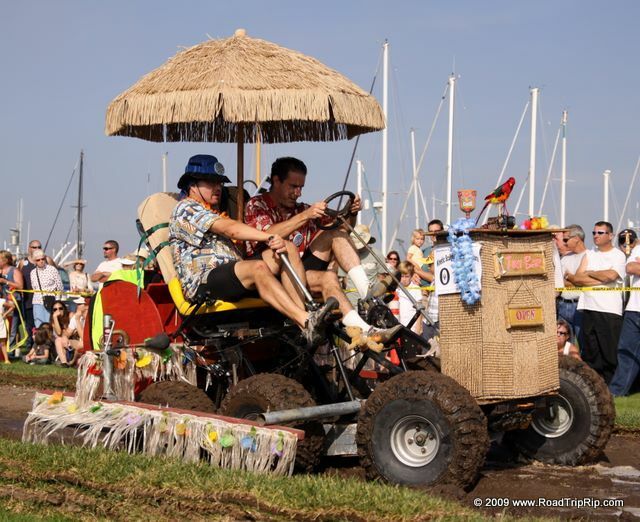 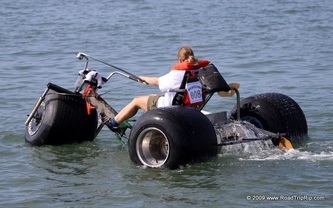 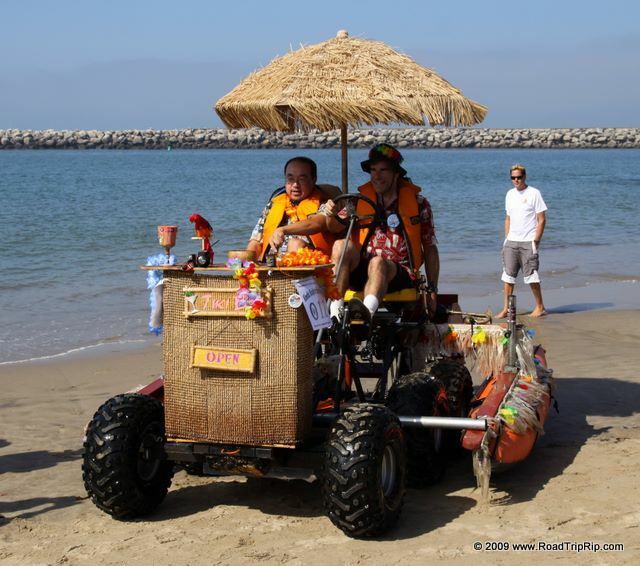 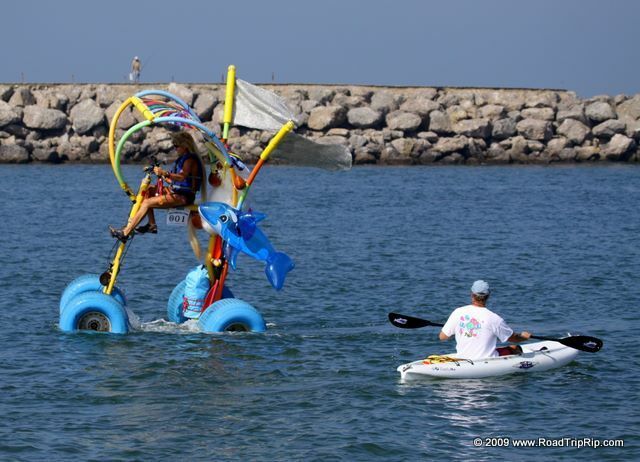 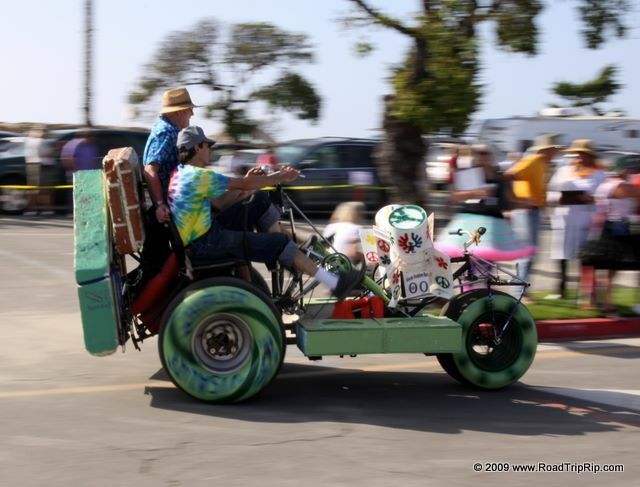 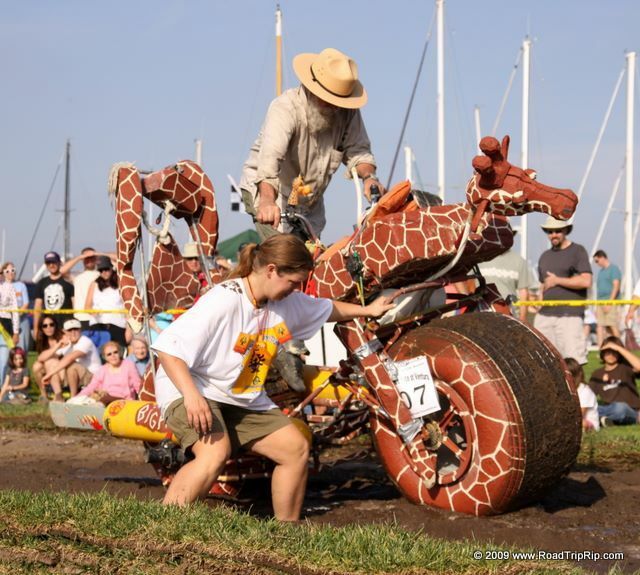 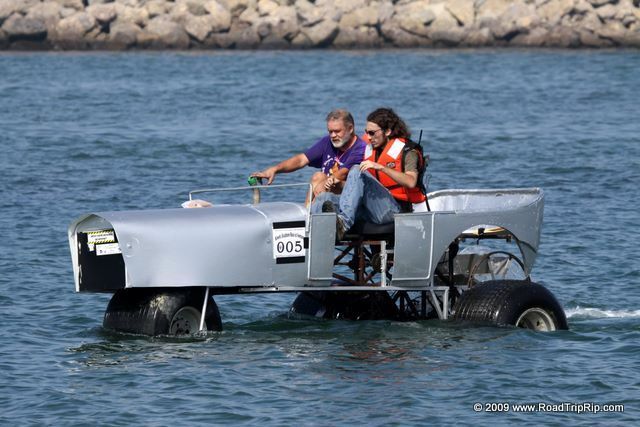 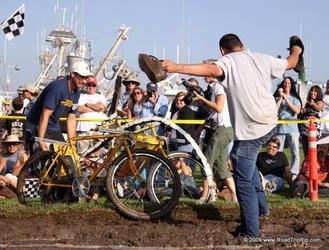 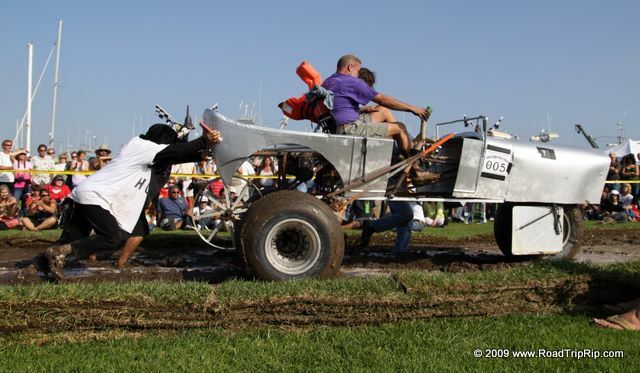 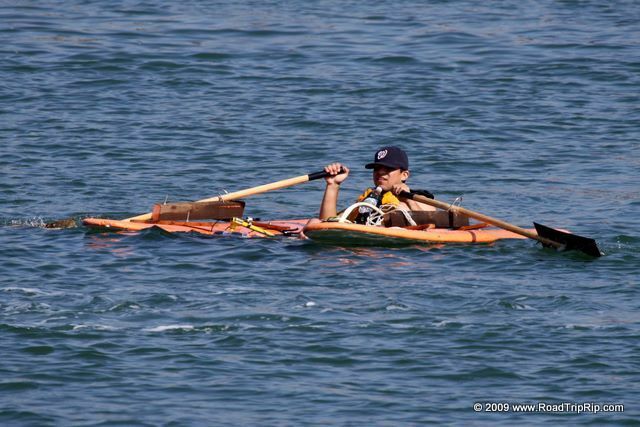 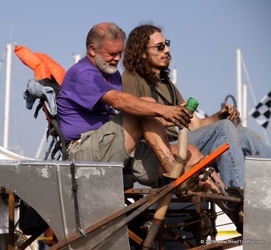 A kinetic sculpture race is an organized contest of human-powered amphibious all-terrain works of art. (I got that directly from Wikipedia.) It started in Humboldt County in Northern California about 40 years ago. 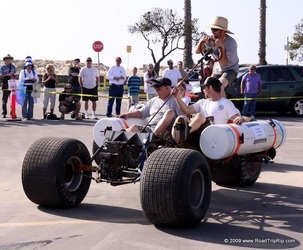 So I attended this smaller version of the event in Ventura, California. From what I understand, there's no cash prize, so all the contestants are doing this for the pure fun of it. 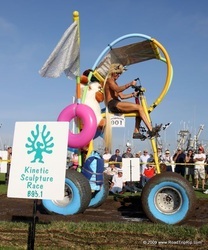 It made me want to work on a kinetic sculpture when I grow up.